Unified communications & collaboration (UC&C) is the best way to improve workforce productivity and reduce operational costs on your office phone system. UC synchronizes your on-hand technology and makes it a seamless platform that laces your communication capabilities exactly how you want your business to operate. Enabling your workforce to be more ﬂexible and, ultimately, more reachable is no longer a thing of the future. Your mobile workforce can now get a single IP number that literally goes where they go. The key advantage of Unified Communications with BroadConnect Canada is that employees can complete their work more efficiently, with faster turnaround times, all while doing it, on the go. Whether it's accessing important files, checking customer data or searching the internet, implementing a Unified Communications solution in your company, this will enable your employees to stay in touch and be connected - anywhere and at any time. It doesn't matter where you are working or what device you are using, Unified Communications from BroadConnect Canada will enable you to reduce travel expenses, communicate via video conferencing, employ BYOD, and most importantly, make those important decisions in a much timelier manner. All of these Unified Communications advantages are available from BroadConnect Canada, one of the leading VoIP business service providers in Canada. Unified Communications seamlessly integrate all facets of your business. You can easily reply to email with your voice, answer your work desk phone from a coffee shop or turn an instant message conversation into a conference call, with a blink of an eye. No matter where or how you typically communicate, you'll have all-in-one access to the same set of familiar interfaces right at your fingertips. Productivity is key when you use BroadConnect's Unified Communications platform. We offer a fully integrated interface to collaborate, in real-time, across all your available tools. 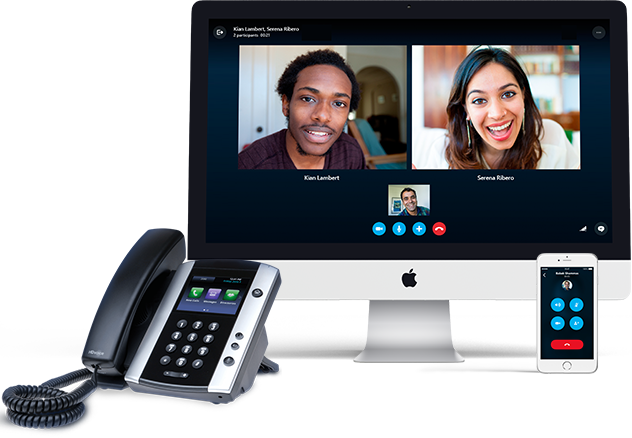 From fully functioned desktop video, social media integration desktop integration and conferencing, we believe you'll get more done when your communication tools all work together from our voip business solution. 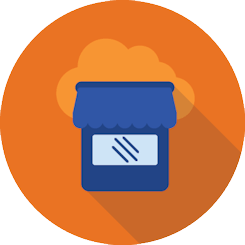 Our vendor neutral system unifies applications as well as devices from various vendors. We fully support open source platforms, third party products, and the most robust interfaces, which will help you lower hardware and software costs and improve your companies' flexibility. We leverage our patented SIP Trunking architecture which not only simplifies your network but connects all of your users, seamlessly, no matter their location or endpoint infrastructure set up. This is what makes us one of the leading VoIP business phone providers in Canada. Our Unified communications platform integrates the multiple communication tools you currently have, with presence, customer collaboration and Telepresence which is accessible from just about any device (iIncluding iPhone, Android and Blackberry) from virtually anywhere. BroadConnect's Unified Communications solution uses our private Network as a platform for your collaboration. This easily allows you to deploy the simplest to complex applications on-site and on your time. Collaboration applications integrate video, voice, and web conferencing; along with instant messaging and the most popular mobile applications. Broadconnect enterprise social software will keep your mobile force productive and well connected. Customer collaboration enables you to get closer to your customers, while increasing product loyalty and satisfaction. You can now proactively unite your customers with the important information, support and expertise they need. BroadConnect enables the more efficient way of working via telepresence. Now your entire team can be any and everywhere when you enable face-to-face collaboration. 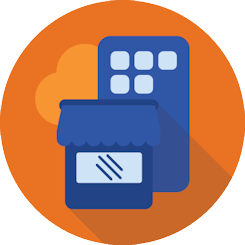 We provide your business a consistent and unified User Interface with a fully customizable experience across a multitude of devices and media types. This is the power of BroadConnect a voice over IP system. With years of development, BroadConnect and BroadSoft have come together to ensure the most superior user interface of any soft phone application on the market. 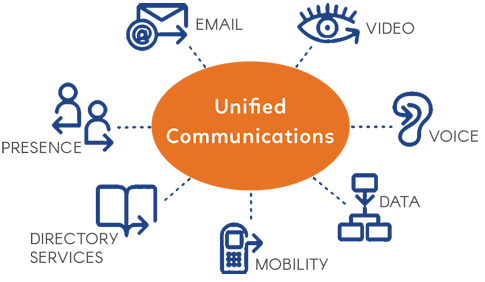 UC-One is the most comprehensive and open Unified Communication (UC) platform that combines all of the crucial elements your business needs to ensure the delivery of your Unified Communication needs. The key four elements of the UC-One will enable BroadConnect Canada, your telecom service provider, to design and introduce an intuitive user interface that's directly customized to meet the needs of your company. The UC-One offers a wide-range of successful communications tool that will dramatically increase both your in-house and remote workers communication needs. You can enjoy the BTCB on your Windows PC, Mac computers, iOS, Blackberry and Android. With a seamlessly integrating application, featuring the power of BroadCloud, BroadConnect and BroadWorks - the Business Communicator 10 encompasses the overall BroadConnect unified communications solution by enabling you to easily deploy a single application to access video, voice, Instant Messaging (IM) and telepresence applications. While deploying the Business Communicator 10 for your VoIP business solution, you be leveraging licensing and server side provisioning from BroadConnect and BroadWorks. Your work force can now enjoy the freedom of UC while being able to access BTBC 10 from the device of their choice from the company phone system. Simplify your communications with a streamlined environment that’s simple to use, simple to setup, and simple to manage the features. Simultaneous Ring: A single phone number can be directed to ring on up to 10 different phones at the same time. Remote Office: Receive office calls at your remote location and make remote outbound calls with your office number as your outbound caller ID. Calls are billed directly to your business account. Click-to-Dial: Just click any phone number within your web browser and it’s dialed automatically. Anywhere Toolbar: Manage phone feautres – like call forwarding and voice mail – from your computer. Enable the most flexible, open and scalable suite using unified communications and collaboration tools for large businesses with as many as 1,000 operators. BroadConnect’s UCaaS is an all in one solution that uniquely helps your Small & Medium Businesses to achieve more productivity and larger cost savings. Unified communications will enable your company to project a professional image with an integrated phone system. No matter if they’re working from their home office or working from the corner office down the hall, BroadConnect Everywhere has features that ensure you’ll always make a professional impression. Most of all, implementing a UC platform transforms and amplifies your collective efforts, strengthens your virtual teams, and radically improves your company’s performance. In the face of mounting competitive pressures both regionally and globally, every business understands the need to speed up response time while keeping a tight rein on costs. To achieve this balancing act, many organizations have moved to stronger collaboration tools offered within the UCaaS framework. BroadTouch MobileLink is a simple VoIP client that enables end user’s to make and receive calls using their business identity, from their personal smartphones (BYOD). This will empower your mobile workforce as they will have all the functionality of using an office PBX phone on the road. Video conferencing is almost a necessity for every business both large and small. If you haven’t used video conferencing you may wonder what the hype is all about. Video conferencing solutions are designed to make your business more efficient and collaborate more. There are many advantages for your organization. The next big thing in Collaboration Solutions is Skype For Business, formerly Microsoft Lync. 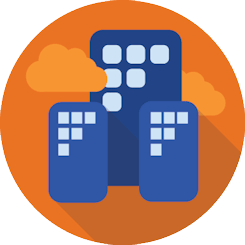 It is a tool, hosted or premise-based, to act as your UC suite. BroadConnect Canada is a Certified Lync 2012 SIP Trunking provider, making us a tier one Skype for Business Canada supplier. Today’s office communications take place over a number of new technologies and media types. From traditional landlines and email to Smartphones, Softphones and Video Conferencing, your employees can feel overwhelmed while trying to tie all these platforms together and get them working effectively. BroadConnect Hosted Unified Communications takes all your available technology and brings it together tying your devices and user interfaces into a fully integrated system. UC makes it easier for both your in-house and mobile workers to communicate, connect, and seamlessly work together. Experience: BroadConnect has over 2 decades of experience planning and supporting business to business PBX phone systems. Consultancy: Our knowledgeable Account Managers will help you find the best and most economical solution geared to meet your exact needs. Planning: BroadConnect will provide you with an effective and flexible phone system, including a structured cabling solution with your installation. Training: We offer a complimentary training and demonstration to show you how to unleash the full potential of your new investment.